Guess who's the new co-host of #afterparadise? Yep! It's Samuel! Tune in tonight! He&apos;s a star already! 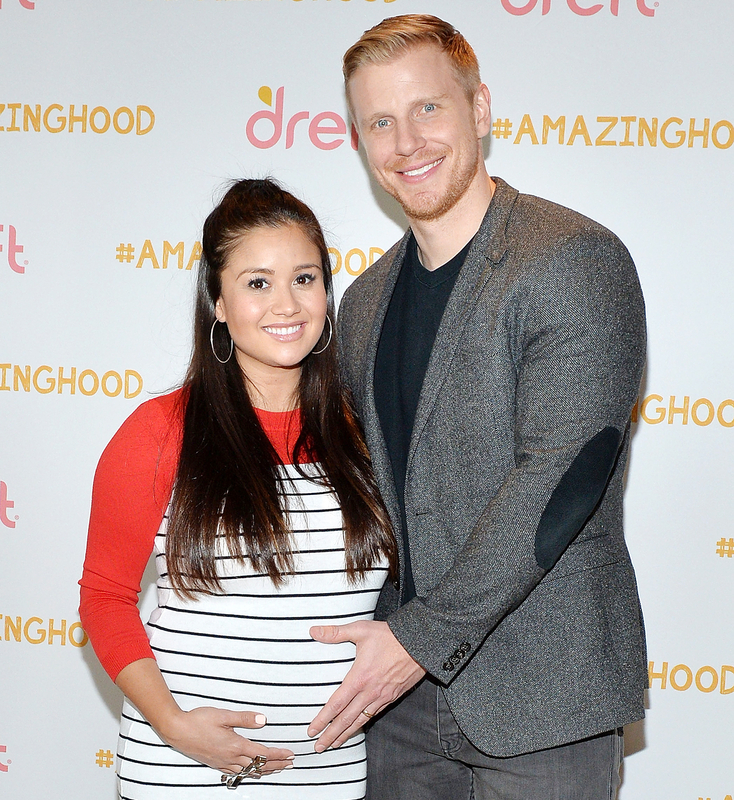 Sean Lowe and Catherine Giudici&apos;s baby boy, Samuel, made his TV debut during After Paradise on Tuesday, August 9. The former Bachelor, 32, brought his 1-month-old son along as he cohosted with comedian Michelle Collins. The show aired following a season 3 episode of Bachelor in Paradise. "Guess who&apos;s the new co-host of #afterparadise? Yep! It&apos;s Samuel!" Lowe captioned an Instagram photo of himself and Samuel sitting on set. "Tune in tonight!" Lowe opened up about fatherhood during the show. Giudici, 30, later brought the little one out in her arms toward the end of the segment. "I&apos;m a little biased, but I think he&apos;s the most adorable little boy in the world," Lowe told the crowd. "It&apos;s working out great." Lowe and Giudici, who reside in Dallas, Texas, tied the knot in January 2014 in a televised ceremony. They welcomed Samuel on July 2. "Sean and Catherine are so in love with Samuel already and are excited to be a family of three," an insider told Us Weekly at the time. "Catherine and the baby are doing great. They’re both healthy and happy." "Someone get me some cargo shorts and Crocs quick," Lowe tweeted following the birth. "I’m digging the dad life." Since Samuel&apos;s arrival, the proud parents have been posting pics of him on social media. Giudici shared Lowe&apos;s After Paradise photo on her own Instagram account on Tuesday. "My camera ready boys," she wrote alongside the pic. She later shared a video of herself holding Samuel. Her wardrobe of choice? A sweatshirt that read "I have no idea what I&apos;m doing." "Parenthood in a nutshell," she captioned the cute clip.